As for my previous question about job opportunities, you need to be a graduating college senior to apply to become a Hotdogger, AKA a Wienermobile driver. Out of 2,000 or so yearly applicants, the field is narrowed down to 30 every March. Those lucky dogs get to visit Kraft headquarters to interview for the position, and 12 are chosen to spend the next year criss-crossing the country, handing out whistles and spreading the world about wieners. And yes, they do have to complete training to drive the vehicle - about 40 hours worth. The world's biggest bun on wheels also tends to attract attention, and police aren’t above pulling the vehicle over just because it’s famous. Nope, no star treatment there. In fact, in the past 20 years, the Wienermobile has been pulled over for speeding twice in the same tiny town - Henderson, Texas. It has also been ticketed for illegal parking. If you're as fascinated with the Wienermobile as I am, you can follow the Hotdoggers as they blog and Tweet their way across the U.S. Do we have any Hotdogger alums reading? We'd be fascinated if you'd share your experience in the comment. 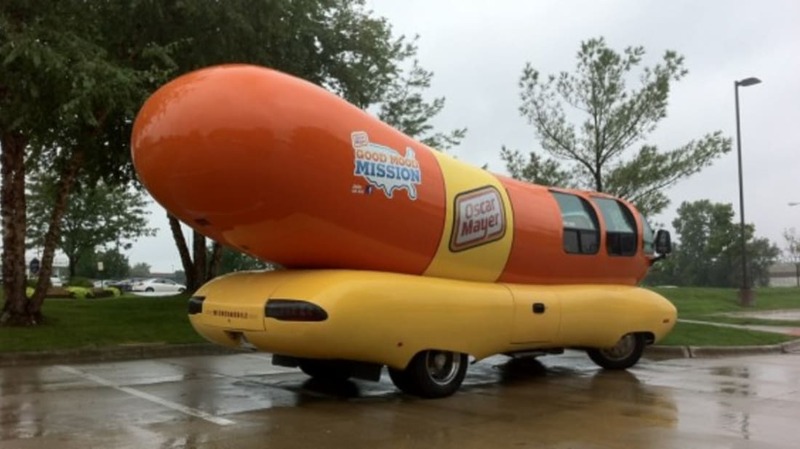 Oh, and one more fun fact for you: Wisconsin Congressman Paul Ryan counts himself among the 400 or so who once drove the Wienermobile for a living.